Crytek claims to have its own real-time ray tracing tech up-and-running on an AMD RX Vega 56 graphics card, sans Nvidia or Microsoft technology. And no, it’s not quite April Fool’s day yet. The company that bought you such hits such as Crysis, Crysis 2, and Crysis 3, among others, has now set its sights on showing Nvidia up with its own experimental ray tracing feature built into CRYENGINE 5.5. Currently, accurately portraying reflections and lighting in real-time your gaming PC requires an Nvidia Turing 20-series GPU and Microsoft DX12-based DXR support. The first is easy enough to come by, for the right price, however, in-game support has been noticeably lacking. Since Nvidia first launched its RTX cards last September, just two games have adopted its ray tracing tech: Battlefield V and Metro: Exodus. But Crytek has shown off its own alternative, and a hardware and API agnostic one at that. 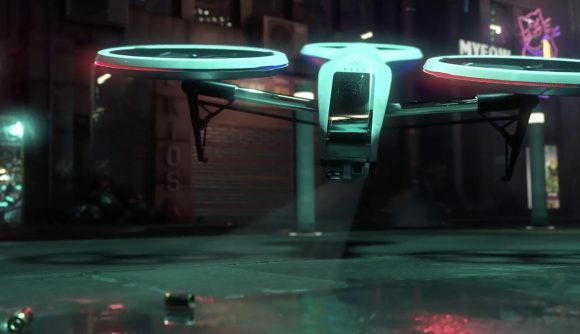 In a video posted on Youtube (embedded below), the company demonstrates its own experimental CRYENGINE 5.5 ray tracing technology running within the bespoke Neon Noir demo – and all running on an RX Vega 56 graphics card. “The experimental ray tracing tool feature simplifies and automates the rendering and content creation process to ensure that animated objects and changes in lighting are correctly reflected with a high level of detail in real-time. Crytek plans to add a production-ready version onto the roadmap sometime in 2019, and will optimise the tech for both DX12 and the low-level API upstart, Vulkan. AMD has previously said that it didn’t believe the ray tracing ecosystem was quite ready yet, and that AMD would roll out its own implementation once “the consumer’s gonna see the benefit.” That was a promising glimpse of what’s to come from the red team, yet didn’t fill us with much hope for an implementation particularly soon. However, with platform agnostic implementation across both DX12 and Vulkan, there may be a glimmer of hope for gamers that bleed red. Wait, that’s everyone… a glimmer of hope for AMD fans then. It’s hard to believe that Crytek has successfully implemented ray tracing in the engine without the need for Nvidia or Microsoft’s technology – if not that disbelief stems in large part from Nvidia’s own RTX rhetoric. Yet if it can truly offer a GPU and API agnostic implementation, the green team could find itself in a sticky situation. The RTX 20-series’ signature feature might not be so exclusive, after all.